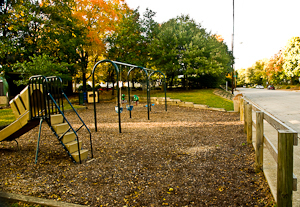 New Chauncey’s Paula R.Woods Park (sometimes still called “Froggy Park” by some of the locals) is located in West Lafayette, Indiana in the New Chauncey Neighborhood on the west side of Vine Street at the corner of Lawn Avenue and Vine Street. 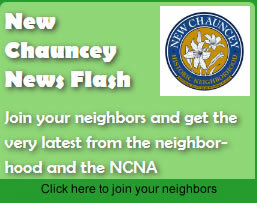 The park has been named to honor Paula R.Woods, a lifetime resident of the New Chauncey Neighborhood. She was an active supporter of parks and recreation in the community and served on the West Lafayette Board of Parks and Recreation for 14 years. This park was developed in 1988, 100 years after the people of Chauncey renamed their town West Lafayette. 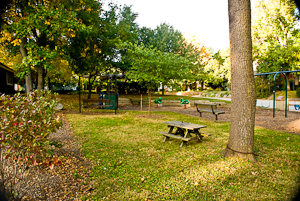 The Park was known as Centennial Neighborhood Park until 2011. 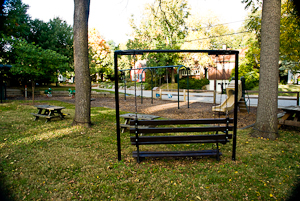 Paula R. Woods Park and her sister park Lincoln Park are both neighborhood parks and are frequented by children and residents alike. See additional park photos below the map.